Peugeot 206 1.4 8v KFW Fuel Pump 9642124080. Condition is Used. Great condition, electrical terminals are immaculate, no corrosion! THE BAG IS OVER 3/4 FULL OF ADDITIVE. Security marks are not visible/Removed. Part has been tampered with. Fitted incorrectly. WE HAVE TESTED THIS PART BEFORE REMOVAL. BASED IN THE WEST MIDLANDS BIRMINGHAM B16 8DW ! IN GOOD WORKING CONDITION. 07 593 08 58 58. 1.9 PEUGEOT 305/309. REMANUFACTURED BOSCH DIESEL FUEL PUMP. 0 460 494 153. DPC 8444B485D. REMANUFACTURED DIESEL FUEL PUMP CAV. DPC 8444B041A. REMANUFACTURED DIESEL FUEL PUMP CAV. Reconditioned Bosch High Pressure Pump 0445010046, 2.0 Hdi, 2.0 Jtd. Each pump has unique serial number. Genuine Peugeot 207 Turbo Diesel High Pressure Pump 1921Q3 New! Peugeot 207. You can also call us if you are looking for any car part that we do not advertise. C4 PALLAS SALOON. 307 ESTATE. Fuel Type: Super unleaded (95). Fuel Type: Superplus (98/99) Unleaded. 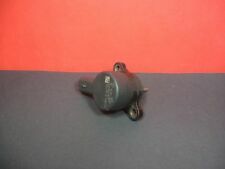 Bosch Common Rail Pressure Regulator (DRV Valve) 0281002284. 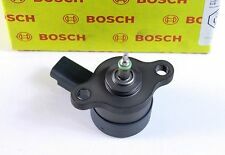 Genuine Bosch 0 281 002 284 / 0281002284Fits Citroen / Fiat / Lancia / Peugeot. CITROEN C5 (DC_) 2.0 HDi Diesel 2001/03 - 2004/08 RHZ (DW10ATED), RHS (DW10ATED) 107. This listing is for a genuine Peugeot used part This Fuel Pump is from a Partner 1.9 Good used working condition. 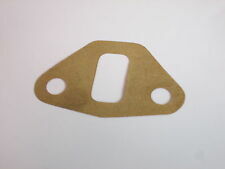 Will fit 96-01 Peugeot Partner, Citroen Berlingo. As shown in photo. Removed from running vehicle. R804. Peugeot 306 1.9 non-turbo. All are parts are used and may show signs of age, they may be dirty, but all are in good working order. 2004 PEUGEOT 206 1.4 HDI. DIESEL PUMP. Local collection available. Removed from a 2000 (1998 to 2006 range) Peugeot 206 GLX HDi 2.0 Diesel 5 Speed Manual 5 Door Hatchback, Engine Code DW10TD (RHY). DW10TD (RHY). Peugeot 206 High Pressure Fuel Injection Pump. 206 1998 To 2009. This sale is for peugeot 306 2.0 hdi diesel in tank fuel pump. BOSCH FUEL PUMP / 1.6 HDI (DV6) P/N 0445010102 / FULLY TESTED AND IN GOOD WORKING ORDER. THIS ITEM IS A USED 2008 PEUGEOT PARTNER FUEL PUMP. 2008 PEUGEOT 308 1.6 PETROL 5FW COMPLETE FUEL PUMP IN TANK WITH SENDER 07-13 Condition is Used. Fits 1.6 HDI diesel only. CITROEN DS4 2011-2015 - 1.6THP 200 - EP6DTX ENGINE. CITROEN DS5 2011-2015 - 1.6 THP 200 - EP6DTX ENGINE. PEUGEOT - CITROEN - MINI - VAUXHALL - SAAB & MORE. GENUINE PEUGEOT HIGH PRESSURE FUEL PUMP. For Sale:-Peugeot 307 2.0cc HDi High Pressure Diesel Pump with part number:- 965639168. Fits:- Peugeot 307 2.0cc HDi models made from:- 2003 to 2008 with part number:- 965639168. High quality products at amazing prices. 2001 PEUGEOT 307 1.4 HDI. DIESEL PUMP. Local collection available. 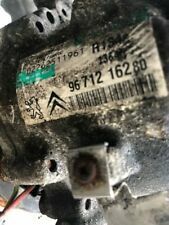 PEUGEOT / CITROEN 1.9 DIESEL FUEL PUMP Xud 1995. Condition is Remanufactured. Bought for my Peugeot 405, but never fitted. Genuine Peugeot Parts from a Peugeot Main dealer. Part Number :1611846480. Fits 2.0 HDI diesel only. For Sale:-Peugeot 407 2.0cc HDi High Pressure Diesel Pump with part number:- 0445010162. Fits:- Peugeot 407 2.0cc HDi models made from:- 2003 to 2010 with part number:- 0445010162. High quality products at amazing prices. Peugeot 206 2.0 hdi diesel. Taken from a 2003 model. 406 SALOON. 406 ESTATE. Engine Code: RHY (DW10TD). to construction year: 01/04/2000. 2.0 HDI 90 [ 1999 to 2004, [RHY (DW10TD)], 1997cc, 90BHP ]. Engine Code: RHZ (DW10ATED). from construction year: 01/03/1999. (PEUGEOT 308 Fuel Pump 0000217408. Other Details: 1.6 Petrol 2007-11- 1600cc 16v - 1pipe 4pin plug TESTED. This item was removed from a 2009 vehicle. Jersey, Guernsey, Scilly Isles) as well as for the Scottish Highlands. For Sale is a 2011 PEUGEOT BIPPER 1398cc Diesel In Tank Fuel Pump Sender Unit. Part Number: 05802070001. Please see item description for more information, you will receive everything you see in the images. ALSO KNOWN AS THE SCAVENGER PUMP, FUEL FEED UNIT, SENDER UNIT, FUEL PUMP INTANK, ALSO KNOWN AS THE LOW PRESSURE FUEL PUMP, LOCATED IN THE FUEL TANK USUALLY UNDER THE BACK SEATS. WHEN THE CAR CUTS OUT AND YOU HIT THE FUEL TANK IT MAGICALLY STARTS AGAIN. PUMP/SENDER UNIT ONLY - DOES NOT INCLUDE TANK. VEHICLE REF: KV05. THIS DOES NOT INCLUDE NI, ROI, HIGHLANDS OR OFFSHORE ISLANDS. OE NUMBER: 1525Y1. 1.1i, 1.4i, 1.6 16V, 2.0 16V. WHEN THE CAR CUTS OUT AND YOU HIT THE FUEL TANK IT MAGICALLY STARTS AGAIN. 1 FUEL PUMP. AA MAN HAS TOLD YOU THE LOW PRESSURE PUMP IN 'KNACKERED'. CAR NOT STARTING DIAGNOSTICS SHOWING THE LOW PRESSURE PUMP HAS FAILED. Peugeot 406 2.0 HDI high pressure fuel pump as pictured. Removed from a 2000 90bhp model year. Quick dispatch using a tracked 24hr courier. Any questions please call 07808808806. If the item is used, we are unable to accept the goods back. AND WE WILL DIRECT YOU. Any problem will be resolved regarding our support team. We always will do the best for both sides to be happy! IN DOUBT WHETHER IT WILL FIT?. For Sale:-Peugeot 407 1.6cc HDi High Pressure Diesel Pump with part number:- 0445010089. 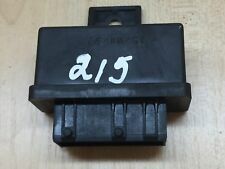 Fits:- Peugeot 407 1.6cc HDi models made from:- 2004 to 2010 with part number:- 0445010089. High quality products at amazing prices. PEUGEOT EXPERT Fuel Pump 0000294884. Other Details: FUEL PUMP 03-06. 4 Pin Plug. This item was removed from a 2003 vehicle. HS1-9, IV40-51, IV55-56, KA27-28, KW15-17, PA20, PA41-49, PA60-78, PH42-44, ZE1-3. PEUGEOT 106 MK1 1.5 diesel TUD5. fuel priming pump feed pipe. N/S/R - REAR LEFT SIDE, PASSENGER SIDE RHD . O/S/R- REAR RIGHT SIDE, DRIVER SIDE RHD . REAR RIGHT SIDE PASSENGER LHD. PEUGEOT PARTNER TEPEE S HDI. FOR YEARS: 2010, 2011, 2012, 2013, 2014, 2015 (2011). FUEL INJECTION PUMP. FUEL SYSTEMS. Extended warranty is also available on request, POA. We have been established for over 40 years and built a reputation second to none as the number one most recognised used van parts supplier in the United Kingdom. Manufacturer: Citroen. Part Number: 580303006. Genuine used part removed with expert care and tested where possible. C4 C5 307 FUEL PUMP SENDER UNIT & GAUGE 1525Q4 PETROL LOW PRESSURE PUMP. 307 (2001-. ALSO KNOWN AS THE SCAVENGER PUMP, FUEL FEED UNIT, SENDER UNIT, FUEL PUMP INTANK, ALSO KNOWN AS THE LOW PRESSURE FUEL PUMP, LOCATED IN THE FUEL TANK USUALLY UNDER THE BACK SEATS. ).